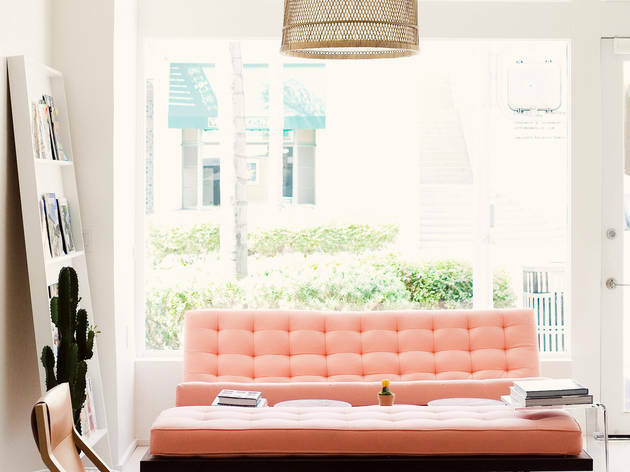 Get pampered at this boho-chic salon, located in the heart of Beverly Hills (their Pasadena location is also tops). Choose from more than 350 shades from the polish wall, including many local brands such as NCLA, Polish House, Jenna Hipp for RGB and NCLA wraps. Other polish brands include NARS, OPI, Essie and Kure Paris organic polishes, plus OPT and Shellac gels. 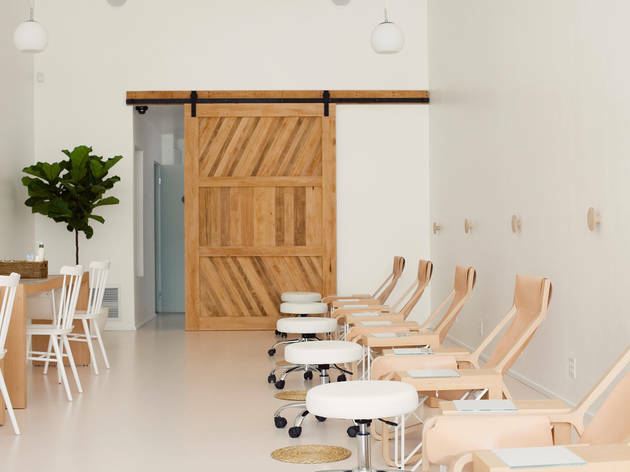 Once the hardest part (picking your color) is over, take a seat in the minimalist space designed by the folks behind luxe Melrose Ave store TenOverSix. Services range from The Dree (mani/pedi combo) to the more pampering and organic The Margot and The Chrissy gels services. Affordable nails in a luxury atmosphere? We call that a steal. 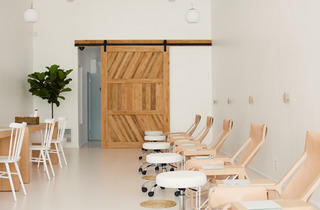 I think Olive & June has changed the nail salon industry in LA! The decor and service is always outstanding and I'm always happy leaving the salon! One thing to keep in mind when going to the BH location is that there is only street/meter parking.